This string quintet, written in 1793, is arranged for either two cellos and one viola, or two violas and one cello (all parts are provided). It is tuneful and straightforward, and suitable for players who are not yet at the standard required to play the Schubert, Dvorak or Brahms quintets. 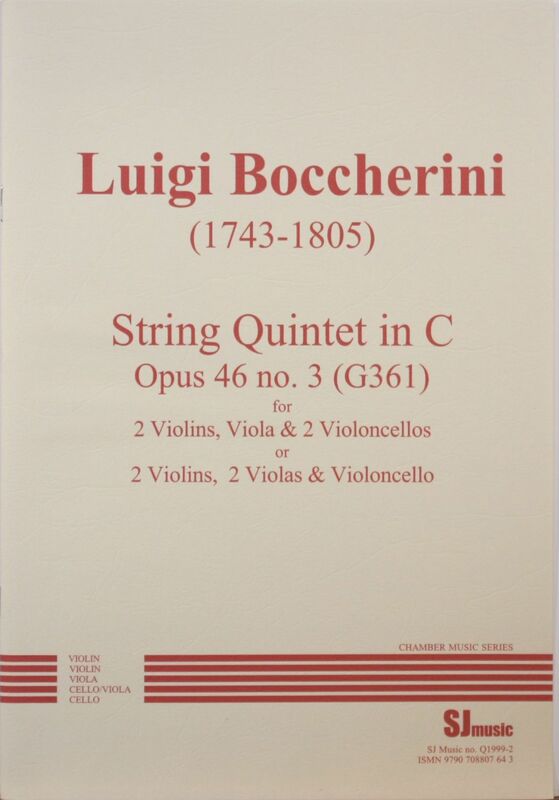 Luigi Rodolfo Boccherini was born in Italy in 1743 and died there in 1805. Between 1770 and 1800 he wrote over 100 string quintets for 2 violins, viola and 2 cellos, (he was a cellist as well as a composer) - an astonishingly prolific output. Most of these works were published in Paris during his lifetime.